Brand new 2 bedroom apartments built by award-winning developers Enterprise Property Group. The apartments are set over the ground and first floor and all have outside space - either a terrace or balcony - and allocated parking. The apartments have 2 double bedrooms, a family bathroom and generous living space. Plot 18 has the added benefit of an en suite to the master bedroom. Launching early 2018. Completion expected around November/December 2018. CALL NOW to discuss off-plan reservations. 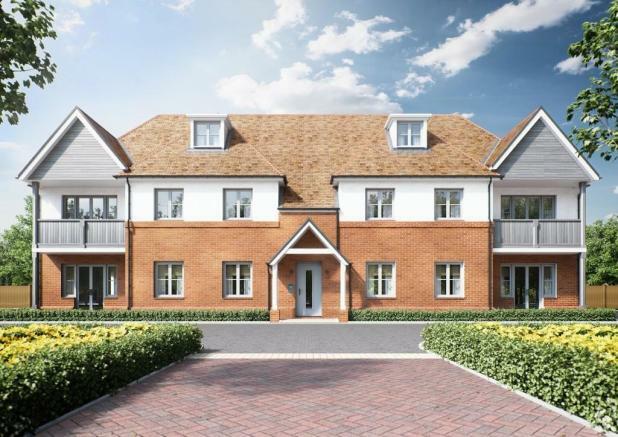 Woodland Rise is a superb new development that will appeal to those who demand the convenience and comfort of contemporary living in a prestigious village location surrounded by undulating countryside. There is a diverse mix of accommodation from apartments to detached houses in a variety of designs and finishes, from traditional brick and render to timber cladding. Many of the homes come with outside space and garages, some benefit from balconies or underfloor heating. All homes guarantee the trademark quality and attention to detail for which EPGL is renowned and covered by the NHBC 10-year Buildmark warranty. With Great Chesterford train staton just a few minutes' walk away, London Liverpool Street can be reached in 1 hour 10 minutes, or Tottenham Hale in less than an hour, for tube links throughout the capital. It's also just over 15 minutes to Cambridge. There is easy access to the A11, connecting with the A14 for destinations east and west, as well as Junction 9 of the M11, which conveniently takes you to Stansted Airport in just over 20 minutes. Call now for further information on available plots and to register your interest. Off plan reservations available (subject to buying position). Internal images are indicative of the quality and finish of previous Enterprise Property Group developments. For illustrative purposes only. Disclaimer - Property reference 100956008036. The information displayed about this property comprises a property advertisement. Rightmove.co.uk makes no warranty as to the accuracy or completeness of the advertisement or any linked or associated information, and Rightmove has no control over the content. This property advertisement does not constitute property particulars. The information is provided and maintained by Redmayne Arnold & Harris New Homes, Great Shelford. Please contact the selling agent or developer directly to obtain any information which may be available under the terms of The Energy Performance of Buildings (Certificates and Inspections) (England and Wales) Regulations 2007 or the Home Report if in relation to a residential property in Scotland.